Education in Punjab, Punjab Higher Secondary Education, Punjab Education. Punjab is known as a state that is rich with agriculture. Today the state of Punjab is served by many private institutes for higher education. People willing to get admission in engineering, humanities, law, medical, business etc can come to Punjab. 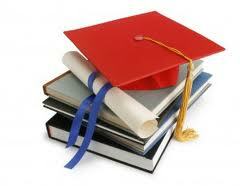 Education in Punjab can provide you to have specialization in vivid subjects. Today various people from various parts of the nation have come forward to get Education in Punjab. Even in the field of research and development Education in Punjab is flourishing really well. From very beginning, the education system in Punjab has worked really well for primary as well as secondary standard. Government of Punjab has a wonderful determination about Education in Punjab. The school education Board of Punjab has come into existence in the year 1969. This takes care about each type of developments that is going to be acted in schools. A grant of autonomy has been done by the government of the state. There is a typical Education Board that is established to take care of development in every school in the state. There must be proper discipline in each and every primary school operating in the state. The Board has got a typical structure and official that is specially been recruited for the primary Education in Punjab. The education board that is assigned for the education of the school children needs to take care of various scopes. They have to assign a perfect curriculum according to which the teachers would be engaged for teaching act. Let us have a look at the key standard adopted by Education in Punjab which is exclusively for higher education. Just after completing the school level each type of student is asked for choosing their own stream so that the higher education becomes easy and manageable. They can choose any type of stream with regards to the preference of an individual. Whether you want to be a doctor, an engineer or a lawyer, the higher Education in Punjab will provide u with the vivid scope.